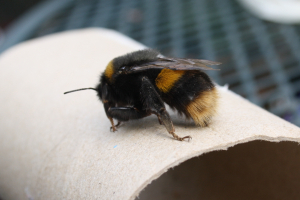 Observation - Buff-Tailed Bumble Bee - UK and Ireland. Description: Collar and second abdominal segment orange, tail buff. As per Collins Chinery guide. Collar and second abdominal segment orange, tail buff. As per Collins Chinery guide.